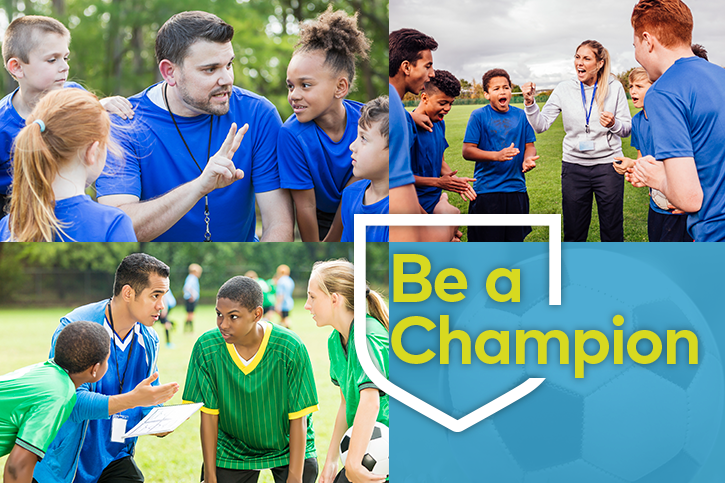 In this example of a collection of stock photographs selected for the Ford Family Foundation's Be a Champion Facebook campaign, the target audience was athletic directors in Oregon. Art direction and design: Germinate Creative. 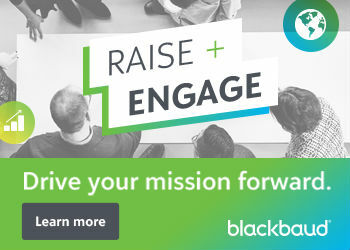 Your organization has an important campaign coming up. You’ve set your campaign goals, and you know which social platforms you’ll use. Now, it’s time to create strong visuals to support your message and evoke the right emotion for your campaign. Are we picking images that inspire? Does this photo evoke the story of our organization? Will the information we share to our audience make a direct impact? Do the photos come across as engaging and memorable, or are they flat and forgettable? Here are three ways you can create the right images for your campaign. Let’s say you are promoting a campaign to get more rural women from your area to sign up to vote. If you were searching for images, you might use terms such as “women, voting.” With search terms that broad, you’d probably find photos of smiling women putting a ballot into a box. Also all of the women will look disparate: 20s, 40s, 60s, white, etc. By the way, you don’t have to use images of women voting. You want to show who they are, what they do, and how they live, to help your supporters feel an immediate connection. Problem: my impactful data looks so flat. Illustrating strong data points is a quick way to catch someone’s attention. Just the act of showing a large number in a social media feed of photos makes someone pause and ask, “Hey, what are they saying here?” A way to make your visuals stand apart is to animate your information. The animations don’t need to be complex. An example where this works really well is on Vote Run Lead’s Facebook posts. To show that 52 Vote Run Lead alumnae committed to run in 15 state primaries across America, the organization created a simple animation of the number running up from 1 to 15. Other types of these simple animations are interspersed throughout their image feed, which makes their content instantly more visually engaging. There are many ways to create animated data. The best way is using your staff graphic designer or hiring a freelance designer. A designer is comfortable with image creation and animation software, such as Photoshop. A designer will pay close attention to your organization’s brand guidelines. Most importantly, a designer understands aspects of animation that will give it the right effect, as speed, fading, timing can all be attuned appropriately. Problem: I don’t know how to search for stock photos, I can’t hire a designer—but I do interact with my audience often. Having photos of your community, donors, and people that you serve is a huge win. Let me say it again, because this is important: A HUGE WIN! These photos give your campaign authenticity and are perfect for social media. Here’s an example: Let’s say you work for an organization whose goal is to provide families with resources to support the education goals of their children. You’re probably holding events like college fairs and family nights. Bring a camera and photo release forms to your events. As people enter the event, ask them if it’s OK for you to take their photos, and if it is, have them sign the release form. It’s best to have active photos, such as a child learning to use a stethoscope, versus passive photos of people in a large audience. Candid photos catch someone in the act, and adds life to your pictures. A word of caution: never post a photo on social media of someone who hasn’t given you their authorization. By taking the time and effort to intentionally select and design your graphics, you can turn a daunting task into engaging and impactful work. I am a graphic designer who works with agencies, nonprofits, and foundations that are ready to grow. I focus on identity, web, and print collateral projects that give clients a hardy and long-lasting image. I know the power of design as a messaging tool. Because of that, I provide my clients branding and design experiences that become more rooted by strengthening their visual presentations. I keep it personal so I can collaborate fully and work efficiently. My style is vibrant, yet right on the details. I began freelancing in 2010 to build a small, yet successful, design presence that cares deeply about the presentation and promotion of my clients and collaborators. I am a whole-hearted, enthusiastic creative partner, never afraid to get my hands dirty working a hard day. I help my clients think visually and creatively so that I can design with purpose. I strive to be consistently passionate about the work I do. As someone who loves to dig right in and get my hands dirty, I love spending time outdoors biking and gardening. I do my best to keep the wacky world of entrepreneurship, deadlines, and personal life in balance by getting to yoga and being as silly as possible And eating. A lot. Seriously, let’s go to lunch. In work, as in life, I’m driven by joy, creativity, and a sense of purpose. I’m literally driven by a Surly Long Haul Trucker, which probably has clocked 20,000 miles in 7 years. I happily live in Portland, Oregon with Tim, my partner in creativity and snow sports, and Nina, our constantly boisterous and chatty kiddo.